The University of Chicago’s economics department is famous for its conservatism, especially in the era when Milton Friedman was its most notorious member. In those days the economics department was housed in Pick Hall (they’ve now moved across the Midway), seen in the background here. 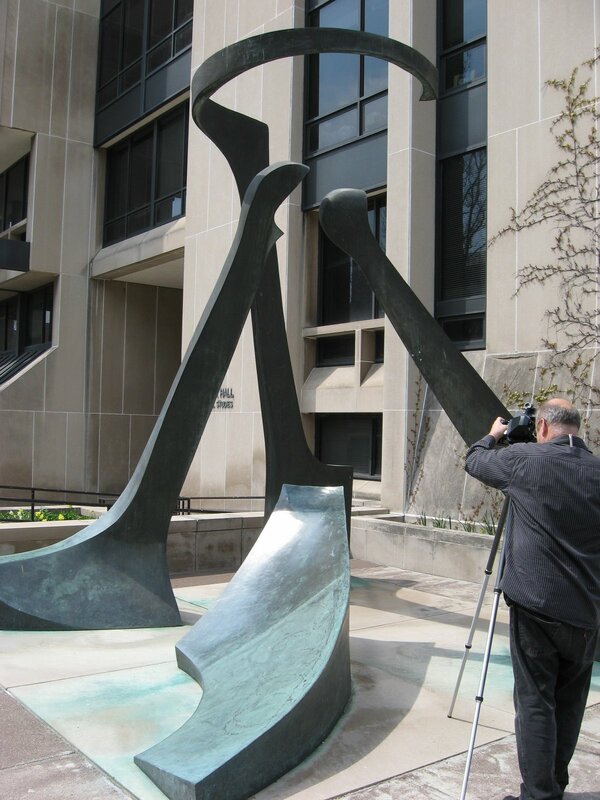 There’s a sculpture in front of Pick Hall, by Italian artist Virginio Ferrari, that at first seems merely to be an abstract installation. 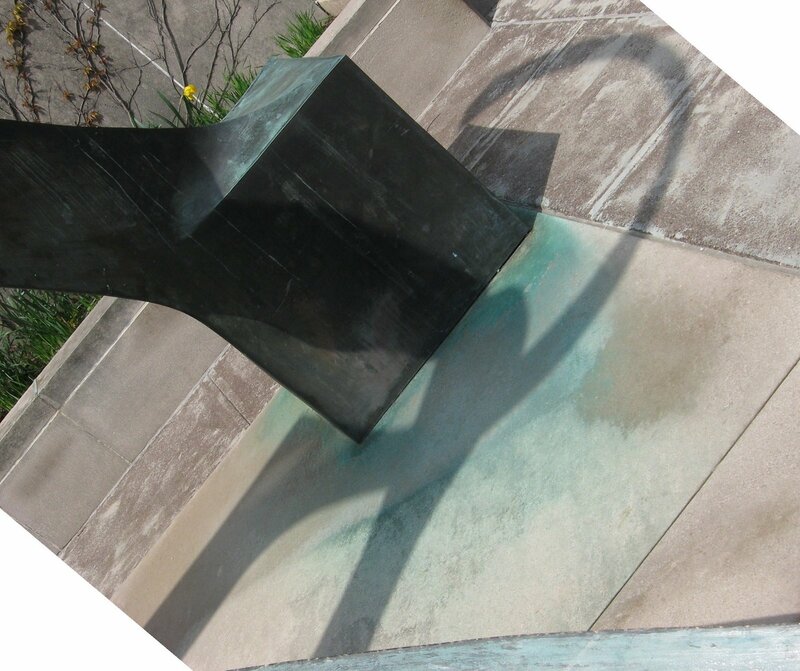 But legend has it that on May Day, at noon, the sculpture casts on the ground the symbol of international Communism, the hammer and sickle, as if to taunt the free marketers inside the building. The artists says he didn’t intend for this to happen, but… I took this picture around 11:00 on May Day.